We are able to offer a complete thermography solution. 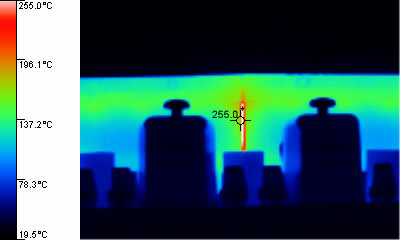 Thermography is increasingly being used for both preventative and predictive maintenance programs. It is safe, non destructive, quick and accurate. Diesel Engine Exhaust Gas Systems - Insufficient lagging providing causes of ignition. We can offer both 'one off' and planned surveys to suit your individual requirements, with a prompt, reliable and competitive service.